There was a day last month when I received bad news. 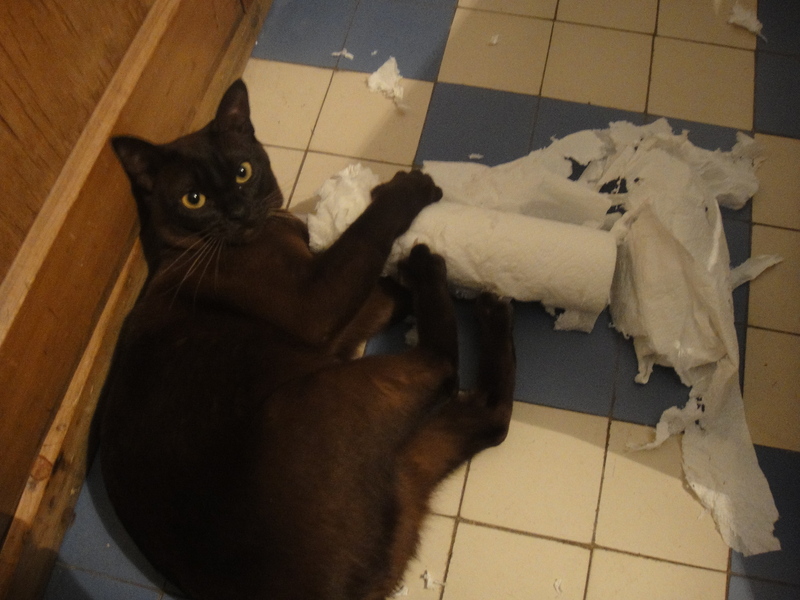 That evening, I felt agitated and didn’t want to go to bed. It was 10pm, I decided to go for a quick run. When I left the house, my mind was filled with sad thoughts. But as I carried on running, went through a new and unknown route, saw the full moon, felt the cool evening breeze, I started to feel better. Lots of thoughts went through my mind as the landscapes rolled past, but I let them go. It was like I was sweating my sorrow away. Running helps me get closer to my feelings, it helped me relax and sleep that night. Just thought I’d share my experience. I always like to read about people’s tips to deal with whatever people might have to deal with: food craving, stress, etc. And it just seems that running is a helpful tool to help with our little worries and bigger problems. So… if you feel the need, put your trainers on and don’t hesitate any longer: go! 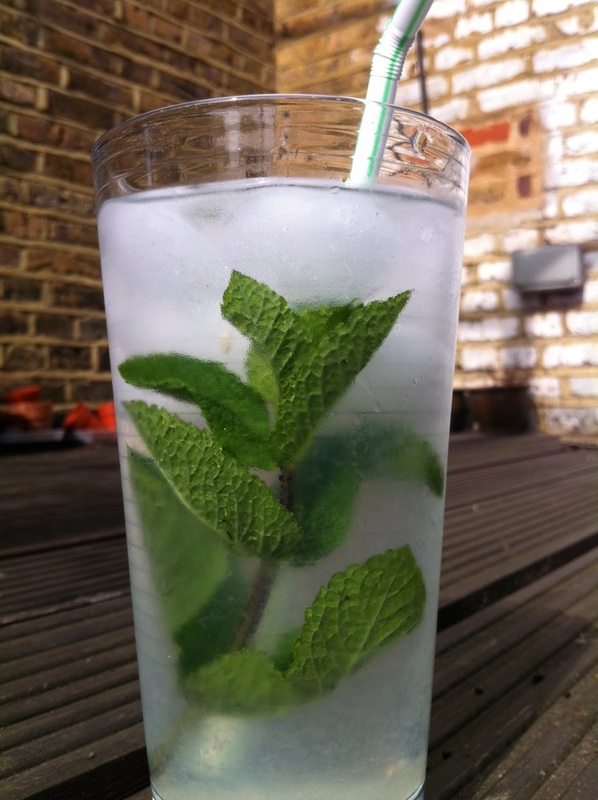 This entry was posted in I love running, News and tagged healthy living, running, wellbeing on July 6, 2013 by Alix. Stress? How do you deal with it? Busy, stressed, how do you manage to focus on time management and meal planning? As much as I want my health to be a priority, and as much as I would like to have a great beach body this summer, I feel that I need to have more time and be a bit more relaxed to be able to focus on a healthy living. Work, exams, and side projects seem to have taken over my life in April and May and old habits have come back. Because old habits, no matter how unhealthy they are, do not require any thinking or planning, when busy and tired, they inevitably come back. However I have learned what makes me feel worse and what makes me feel better food-wise so I am not going back to a totally unhealthy lifestyle. But bread and butter (my favourite of all times, I mean, country style bread with butter and salt crystals) is an easy combination when I’m tired. I am dreaming of a life where I take time to do an hour of gym in the morning, eat a healthy breakfast, then get on with my day. But I must say when I’ve got too much going on, I can’t find the time or energy to organise it. I feel stressed and just want to get my jobs done and over with so that I can move on to the next task. I am hoping the summer months will be quieter and that I will manage to get back into the healthy lifestyle that I’m dreaming of at the moment. But for now, I need to get jobs done and there is only so much I can focus on at once. One thing I try to remember is that no one is perfect, no need to beat myself up about not managing to follow my resolutions these last couple of months. It’s not about perfection, it’s about keeping the good health in mind and if it has to be on hold at the moment, it doesn’t mean I failed. It means I am human, dealing with things as best as I can, and I haven’t forgotten about my resolutions. I always said it was a life change, not a short term thing. I’m still working on it, life changes don’t happen over night. Maybe in the future I will find a way to combine busy life, stress and healthy eating. I’m still learning. This entry was posted in Diary, News and tagged healthy eating, healthy living, meal planning, New Year's resolutions, stress, time management on July 5, 2013 by Alix. Why not have salad for breakfast? I’ve been watching documentaries about the health benefits of raw vegetables and fruits lately, and all I can say is, do it! Invite vegetables to your plate and you’ll do yourself a big favour. It’s no secret that fruits and vegetables need to be part of everyone’s diet. We have all heard for years now, about the 5-a-day. I don’t want to scare you but 5-a-day? It isn’t that much. Really, if you make a little effort you could make this 10-a-day and feed yourself with vitamins, minerals and fibre, so many things that our body needs for optimum functioning. 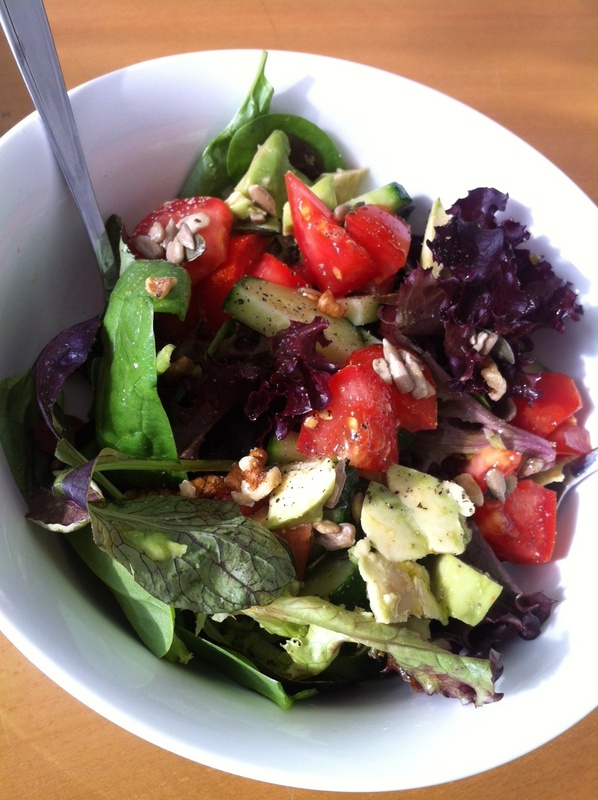 This entry was posted in Diary, Food facts, News and tagged avocado, breakfast, healthy eating, healthy living, salad, spinach, tomato, walnut on June 23, 2013 by Alix. I don’t want to write much about this but I just wanted to say to anyone who think they can’t run, I think you can. I ran my first 10k run on Saturday. It was hard, but I’m glad I did it. It was a night run in Victoria Park (London). 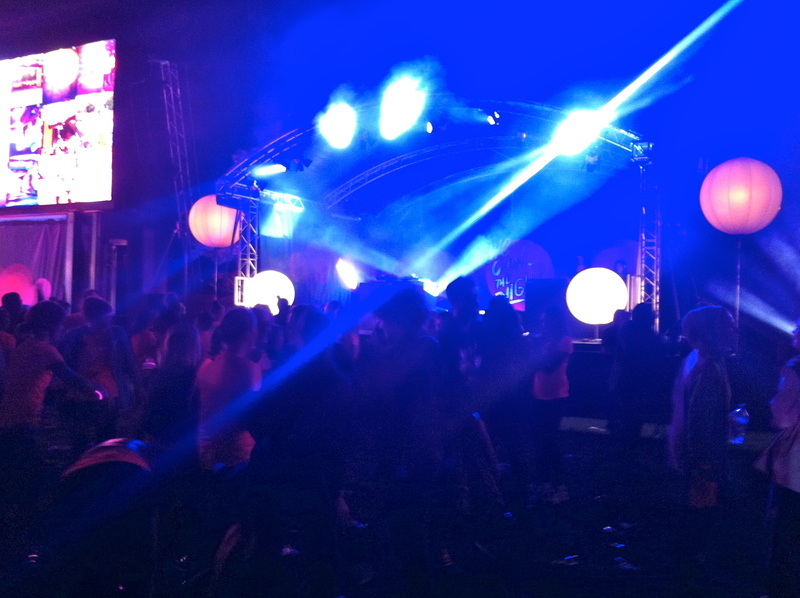 There was such a great atmosphere, women only, friends, dj’s, prosecco at the finish line, what more do you need? I can’t wait to register for my next run! Note to self for next time: Don’t forget to stretch at the end or you’ll hurt for 3 days! This entry was posted in I love running, News and tagged 10K, achievement, healthy living, race, running on May 24, 2013 by Alix. So it appears there are more things to think about when trying to be healthy, but in my opinion it is worth it. 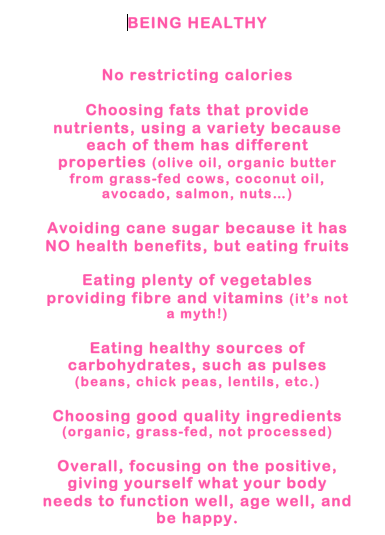 You may have noticed these two lists I made don’t mention every food groups. 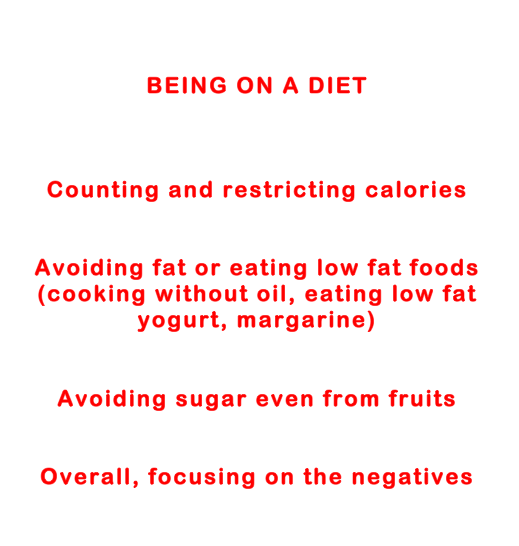 I wanted to focus on the differences between dieting and being healthy. I haven’t directly mentioned protein, but it goes without saying that any meat eaten should be organic and grass fed for best quality. This way it shouldn’t have received hormones and other crap. Fish should be organic too or wild, but I know there are some wild fish that we shouldn’t be fishing for ecological reasons, however I don’t know much on that subject. I usually buy organic fish. Same goes for eggs and pretty much everything. Nuts and seeds (brazilnuts, pecan, walnuts, sunflower seeds, pumpkin seeds, sesame seeds, etc.) should be an important part of a healthy diet too as they provide nutrients that other foods don’t. It’s easy to introduce them to your diet by adding them to porridge, yoghurt, and salads. I guess what I’m trying to say here is that it is important to eat a wide variety of foods, it’s the best way to get all the nutrients we need for optimum health. I will never diet again because I’m worth better than that, and eating healthily won’t make me put on weight! One last thing, I know buying fresh and organic is expensive. I spend a lot of money on food and I understand some people can’t afford it. But I need to say it, I don’t earn much money, but I made my health a priority and decided to be ok with spending more money on food than the average consumer. It’s my choice. I spend less on shopping. P.s: If you’re wondering why I am focusing on eating healthy and natural food so much, it’s because diet related diseases are the new epidemic of this century. They are caused by eating too much sugar, the wrong fats and processed and unhealthy foods. I will write something about that later, probably this month, because it is really important that we try to improve our diets. Eating well can make a difference to our lifespan, and help avoiding diseases such as high blood pressure, diabetes and even some cancers. Food can be our fuel for long and healthy life, why not make the most of it? This entry was posted in Food facts, News and tagged diet, healthy eating, healthy living, lifestyle, natural food, optimum health, organic food, preventing disease, real food on April 12, 2013 by Alix. Why Should I Try Coconut Oil? That’s what I was asking myself the last time I was in Costco and passed one of their giant displays of 3+ pound jars of it. I could see the white substance inside that was solid at room temperature. Oil? 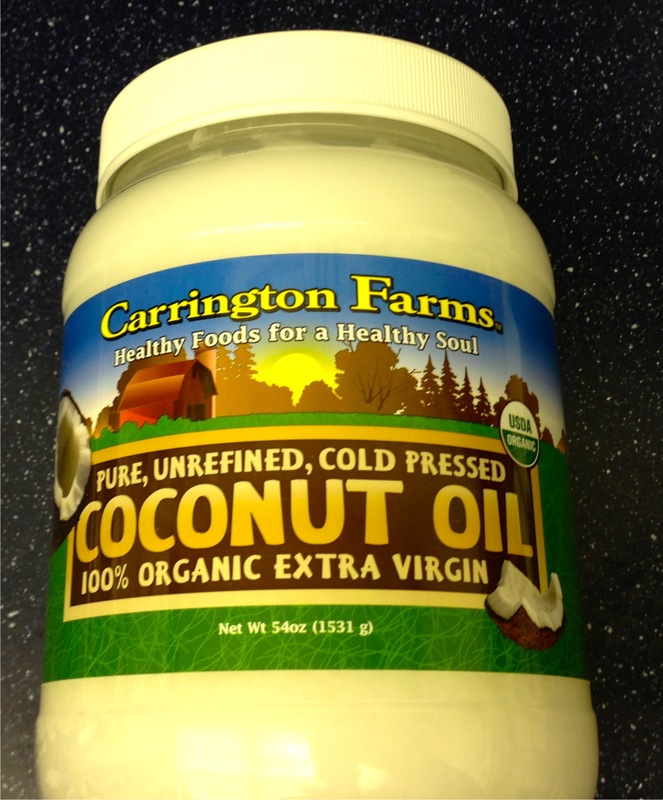 Coconut oil is a saturated fat and we need to avoid saturated fats, right? I can’t count the times I have written in negative terms about the saturated fat content of various food items. Nonetheless, I found myself intrigued by the coconut oil. So, I bought some. When I got home, I learned some very positive things about coconut oil on the web. This entry was posted in Food facts, News and tagged coconut oil, HDL cholesterol, healthy eating, healthy living, lauric acid, medium chain fatty acids, saturated fat on April 11, 2013 by Alix.